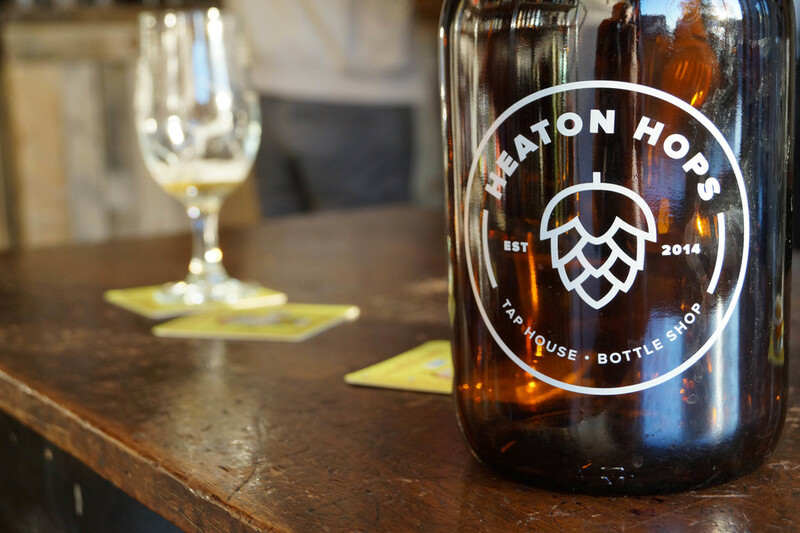 Here at Heaton Hops we have a Pegas Craft Tap Filler, so you can enjoy some of our keg beers at home. 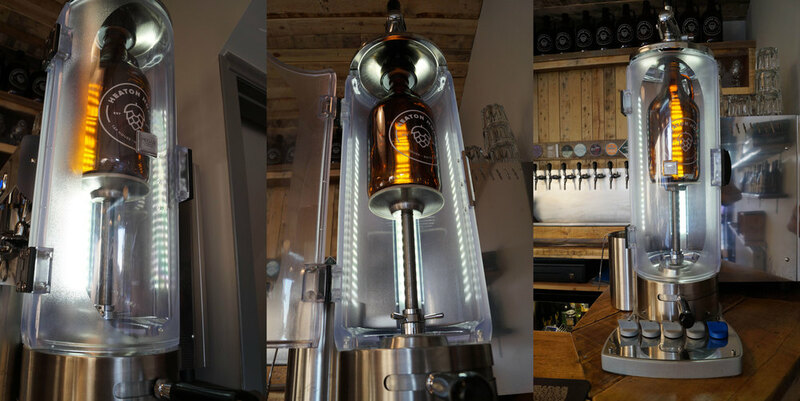 This system uses the same technology as some microbreweries use to bottle their beer at the brewery. The filler floods the flagon with carbon dioxide, creating a pressurised environment free of oxygen. The beer is then transferred from the keg into the flagon, which slowly displaces the carbon dioxide. The pressure in the flagon is kept in balance, so the flagon fills without foaming. Once the cap is on the beer remains pressurised and inert in the flagon, allowing you to drink it when you like. We charge £10 for a deposit on the flagons, plus the cost of your chosen beer. It's a great way to enjoy your beers, and it's also better for the environment. When you come back for a refill, you avoid the cost of paying for bottles, meaning it can be cheaper (by volume) than pre-packaged beer. You also get to take home beers which may not even be available in bottles. Check our Beers page to see what's on keg today!